Although urine infections and other infections related to the urinary tract are more common in women, they can occur in men as well (very rare though). A urine infection is typically a UTI (Urinary Tract Infection) that starts at the lower urinary tract (including the urethra and bladder) and has chances of spreading to ureters and kidney as well without timely intervention. Men suffering from urine infections must make sure they get the condition treated as soon as possible in order to avoid secondary infections. Failure to do so can aggravate the infection and lead to more serious health related issues.The best way to curb a urine infection is when it is in its initial stage and is confined to the urethra and bladder. And this can be achieved by opting for certain home remedies to curb the infection and its symptoms until further medical aid is available. 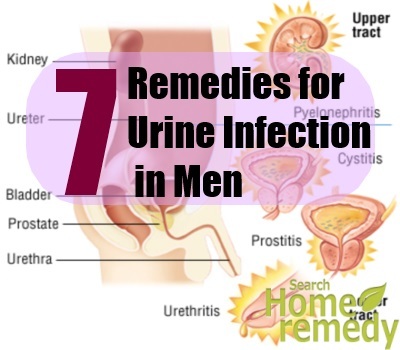 Here are some of the most common home remedies for urine infections in men. Water is considered as the best natural cure for every kind of infection out there. Drinking plenty of water can easily remove the bacteria and other harmful organisms causing the infection, thereby promoting quick recovery and preventing recurrences.Drinking at least 10 glasses of water every day can help reduce the acidic concentration of the urine, and help bring down the symptoms of a urine infection. Excess water in the system would also enable the body to flush out the infection causing bacteria from the body by increasing urination. What you need to do: Drink at least 8-10 glasses of water every day to recover quickly from a urine infection. You can substitute water with fresh fruit and vegetable juices (devoid of any additives) as well. Avoid sodas, caffeinated beverages and other sugary drinks that would aggravate the infection instead of controlling it. 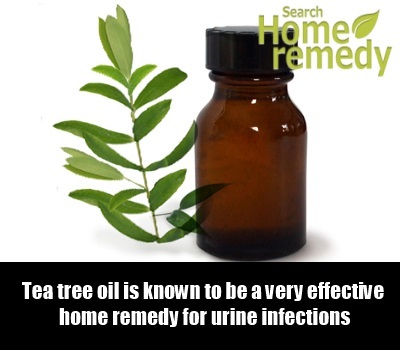 Tea tree oil is known to be a very effective home remedy for urine infections in both men and women. The essential oil contains antibacterial properties that help fight against the bacteria causing the infection. It also possesses antiseptic properties that help the body recover from the infection quickly. In addition to this, it contains diuretic properties that would help increase urination, thereby effectively flushing out the infection causing bacteria from the urethra and bladder. What you need to do: Add a few drops of Tea Tree oil to your bath and soak in it for about 15 minutes. You can also use this water to wash the urethral opening and flush out bacteria infecting the urethra. Do this at least twice a day to get relief from the symptoms of a urine infection. Another home remedy involves mixing a few drops of tea tree oil, sandalwood oil and juniper oil to form a mixture which you can apply on the abdomen at regular intervals. Doing so would reduce the pain and discomfort associated with urine infections. Cranberry juice is often recommended for individuals suffering from urine infections. Cranberries are rich sources of Vitamin C and Quinolic Acid, both of which help flush out harmful bacteria from the urethra and bladder. These substances would also prevent bacteria from entering the bladder and so would prevent recurrences and reinfections as well. What you need to do: Blend a few raw cranberries and extract the juice. Drink a glass of this juice at least 3 times a day in order to effectively treat urine infections and curb their symptoms. Do not add any artificial sweeteners to the juice. If you can’t find raw cranberries, get a carton of fresh cranberry juice from the market instead (read the label beforehand to make sure it is devoid of chemicals and additives). 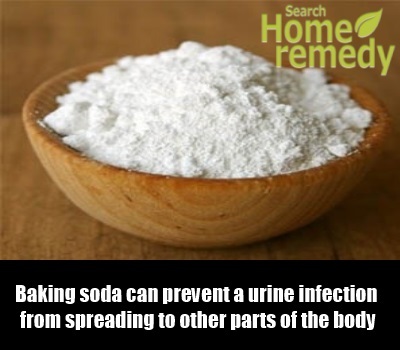 Baking soda can effectively prevent a urine infection from spreading to other parts of the body. It can effectively reduce the pain and burning sensation during urination by balancing the acid-base ratio in the bladder, thereby neutralizing the urine. And this in turn would help treat the infection effectively in addition to helping the body recover from it faster. What you need to do: Mix a teaspoon of baking soda in warm water and drink the solution at least twice a day (one glass each in the morning and night). 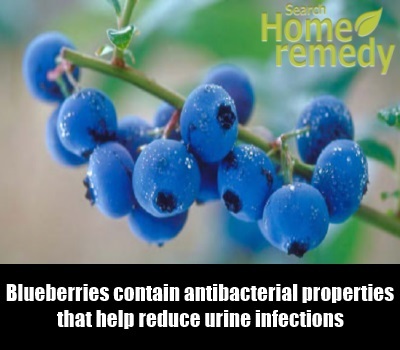 This would offer extended relief from the symptoms of a urine infection and help treat the condition as well. Increased intake of foods that contain Vitamin C can help fight off urine infections by increasing the acidic concentration of the urine, thereby creating an unfavorable environment for the bacteria to grow in or multiply. 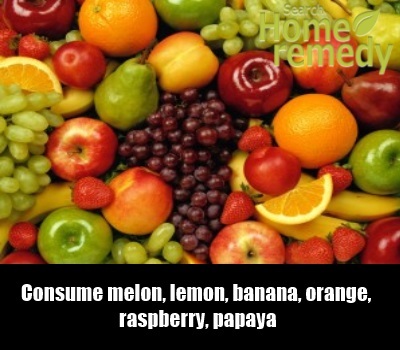 What you need to do: Eat plenty of foods rich in Vitamin C in order to reduce the symptoms of a urine infection. Some foods that you can opt for include melon, lemon, banana, orange, raspberry, papaya, watermelon, kiwifruit, tomato, watermelon and guava etc. In addition to this, eat Vitamin C supplements on a regular basis until the infection (and its symptoms) disappears completely. 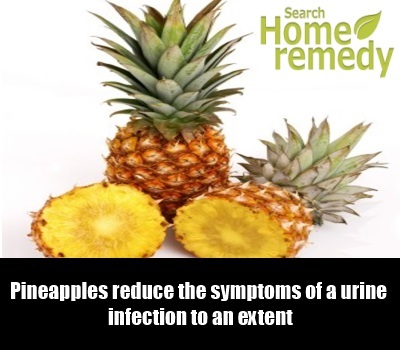 Pineapples are rich sources of Bromelain, an enzyme that helps reduce the symptoms of a urine infection to an extent. Bromelain contains anti-inflammatory properties that help reduce pain, discomfort and swelling caused by a urine infection. What you need to do: Eat a few raw pineapple slices to get relief from the symptoms of the condition. You can also grind the fruit and drink the resultant juice for desirable results. Do not opt for canned pineapples as they may contain additives or preservatives that can aggravate the infection. Like cranberries, blueberries contain antibacterial properties that help reduce urine infections by flushing out the infection causing bacteria from the system. Blueberries also contain antioxidant properties that help strengthen the immune system so that the latter can fight off the infection on its own. What you need to do: Add a few raw blueberries to your meals to snacks every day. You can also grind them to form a juice and drink it once in the morning and night in order to get quick relief from the infection and its symptoms. Do not add artificial sweeteners to the juice and do not opt for blueberry juice cartons that contain additive and preservatives.